One of the great pleasures of life is a watching a terrible movie. Poking fun at a complete failure of a film, from Flash Gordon to Great Wall, provides many laughs and a reason to meet up with some friends. It was this love for bad cinema that excited me for Geostorm; the movie has a supremely corny premise and has been in reshoots for three years. This seemed to me like the perfect recipe for a so-bad-it’s-good movie experience. In other words, I came in to Geostorm expecting a bad movie. Somehow, I was still disappointed. Geostorm was marketed as a standard disaster movie. The premise is that in 2022, the world’s leading scientists have built a massive satellite network to stop natural disasters (somehow) and that these satellites malfunction and start causing even worse natural disasters, collectively called a Geostorm. The trailers prominently show huge tornadoes, massive hail, and enormous fires destroying cities, with the implication that you’d see much more if you bought a ticket. 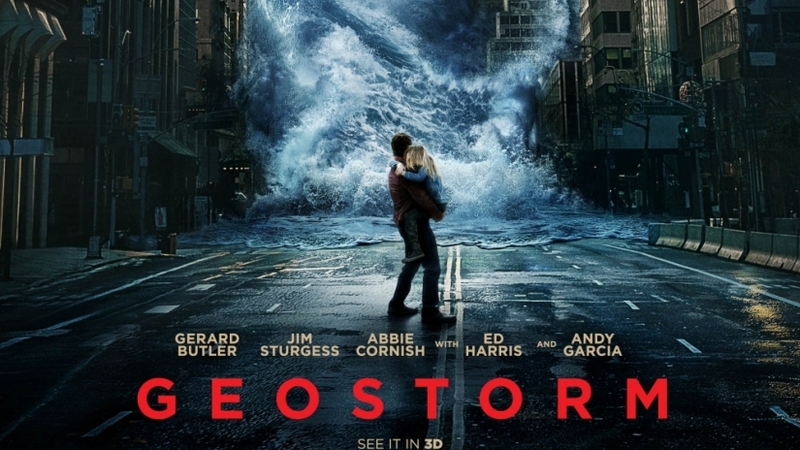 The poster depicts actor Gerard Butler’s character, Jake Lawson, holding a little girl as a gargantuan tidal wave comes barreling towards a city. The scene depicted on the poster never actually happens during the movie, and not much more disaster footage is shown in the movie than what you get in the trailers. Rather than actually getting to see all these natural disasters from the perspective of our main characters, we get hours of our stereotypical hero, Jake Lawson, running about a space station trying to stop the storm. Meanwhile, his brother Max Lawson, played by Jim Burgess, sleuths his way to finding the hidden cause of the storm. 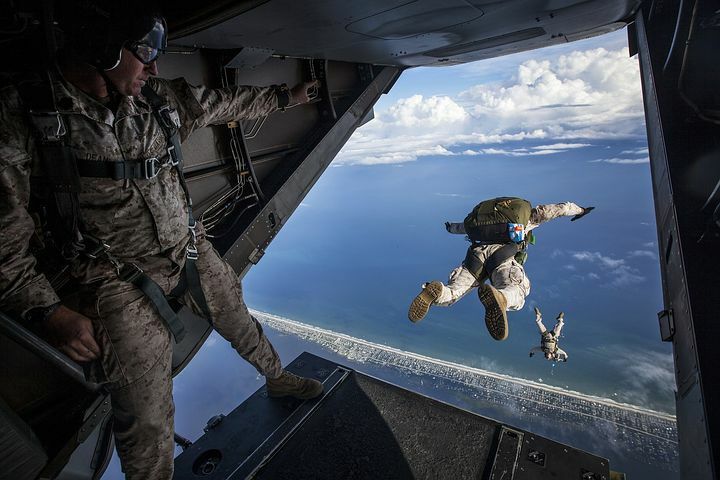 Never once are our heroes in danger of the titular storm. This is a big problem with the movie – you can show all the shots of major cities being destroyed you want, but the audience isn’t going to care unless a character we care about is in that city. This not-really-a-disaster-movie still could have been some fun, even if it was not the same as the advertisements. However, amateurish writing and directing from Hollywood neophyte Dean Devlin dash any hopes of that. The rules the movie establishes for itself are broken: for example, it is shown early in the film that the Lawsons must use secret codes in their video calls due to the corrupt government listening in on their calls, but later, they stop using codes without any reason. The movie also contains countless cliches, even including a huge digital clock with a computerized voice saying “COUNTDOWN TO GEOSTORM”. Geostorm hits a terrible bullseye: It is too bad to enjoy in earnest, and not quite stupid enough to make fun of. Despite it’s B-movie premise promising at the very least some funny schlock, the movie ends up being depressingly derivative and uninteresting. Thankfully, the film has only made 62 million dollars back in ticket sales from its budget of 120 million, so at least we won’t be seeing Geostorm 2. Greg Hill is a senior author and section editor for The Voice. Greg is a self-described politics nerd. He does ROTC at Novato High, and his favorite color is white. Greg loves terrible movies- Despiser being his all-time favorite- and wants to be a politician when he is older.